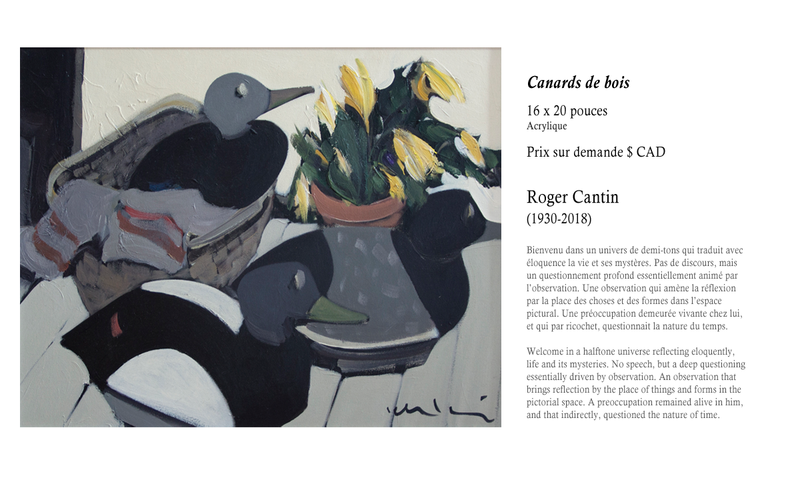 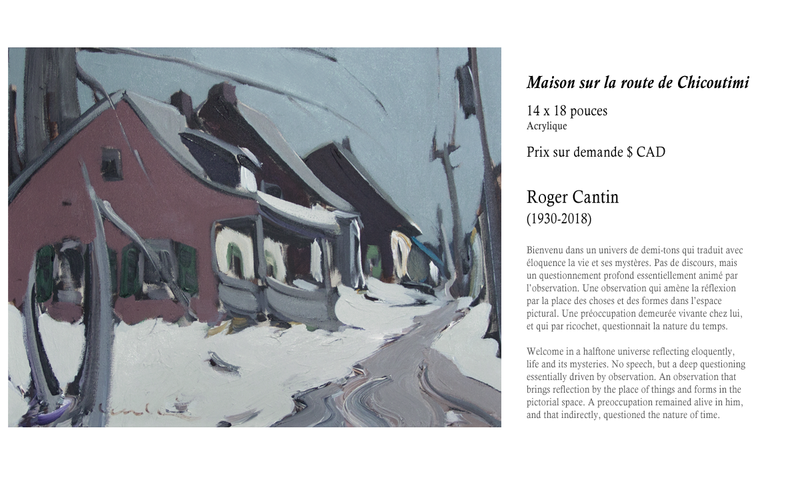 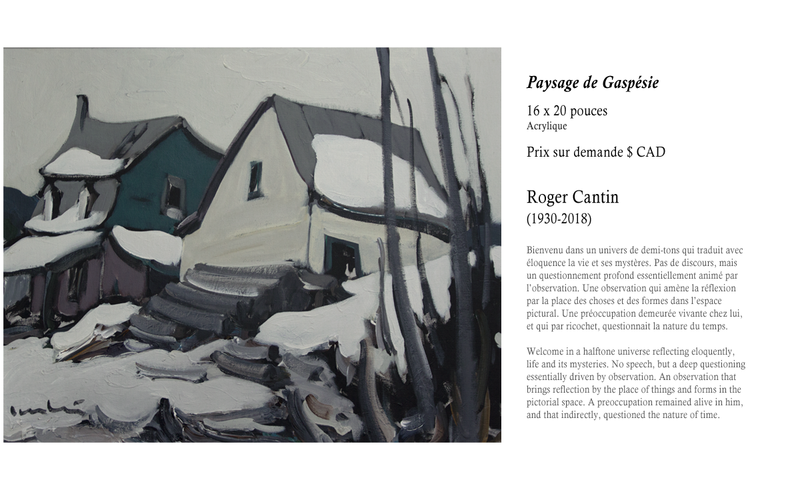 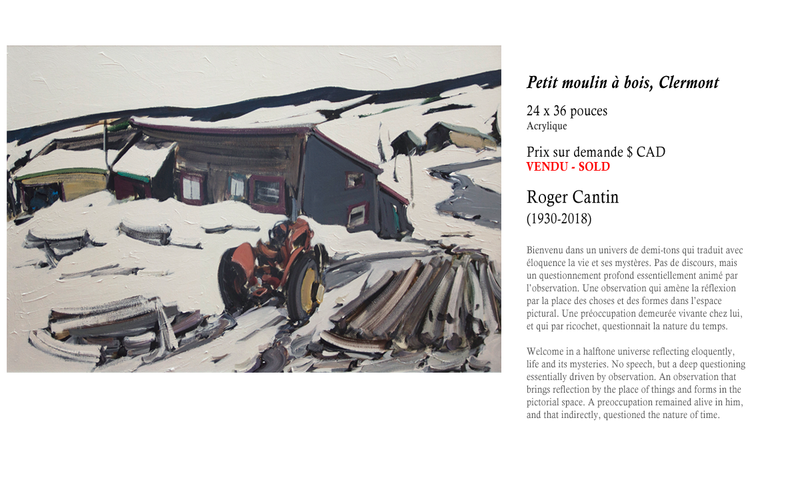 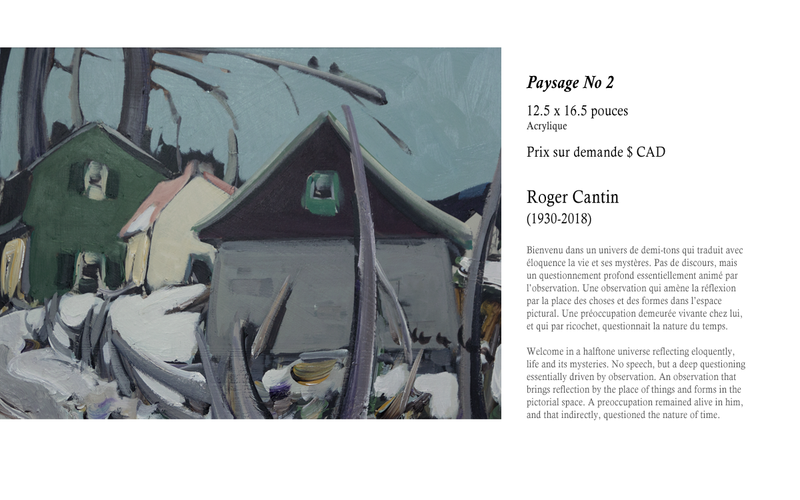 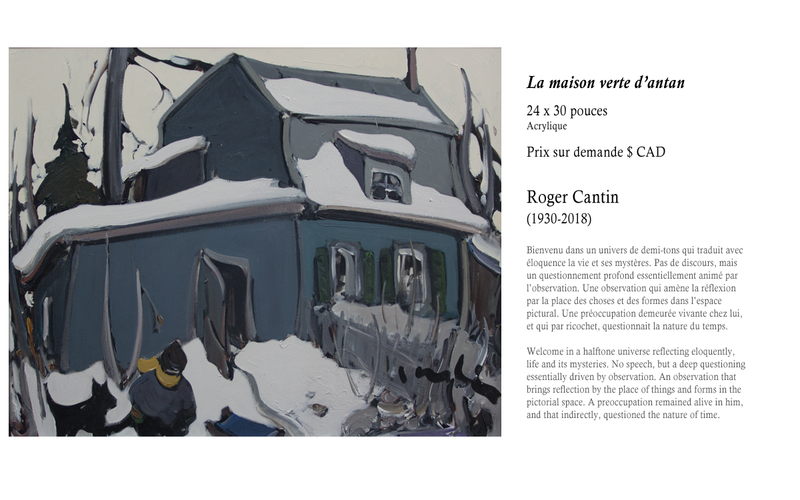 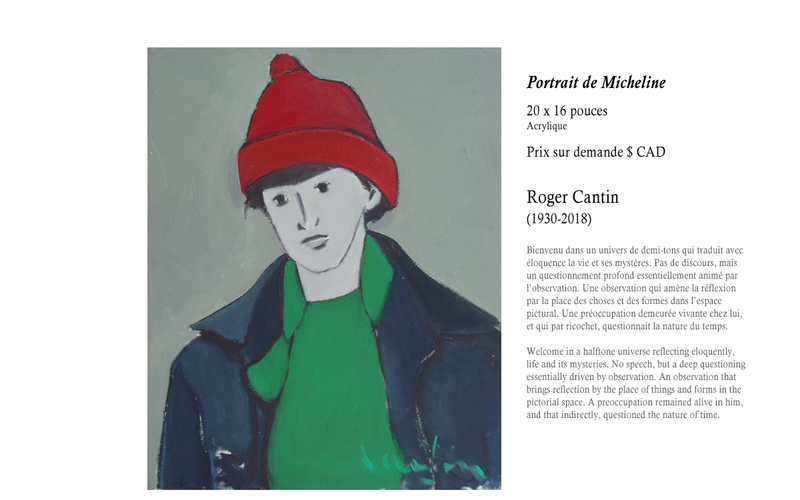 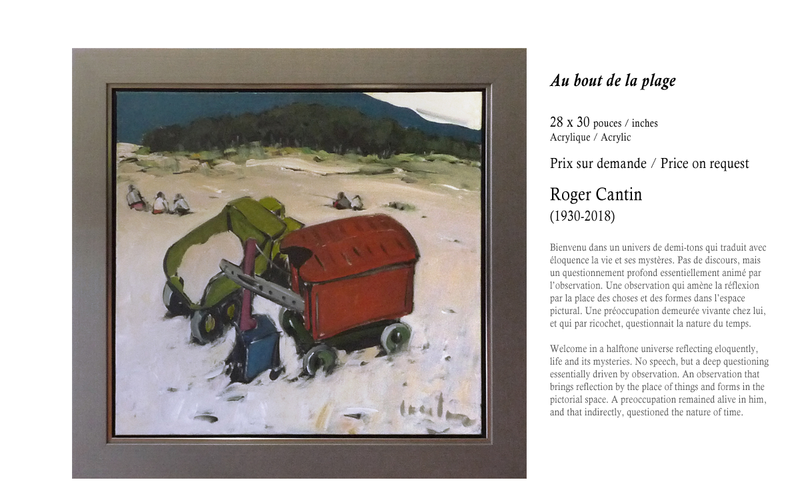 Roger Cantin 1930-2018. 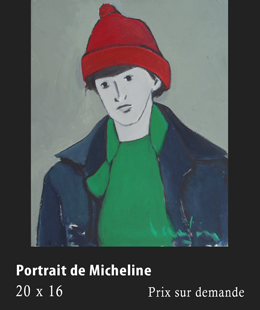 He was one of the rare painters who had the privilege of "changing writing". 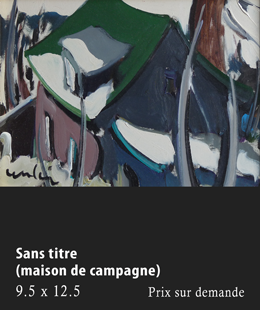 When he works with acrylic, his color, firmly placed as a compact paste, is well spread, and his brushstroke, solid. 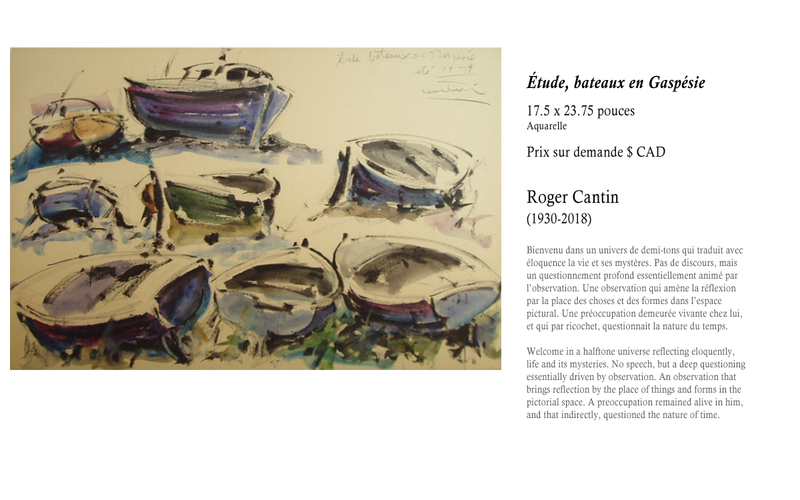 When painting in watercolor, the luminous and brilliant colors keep their delicate transparency. 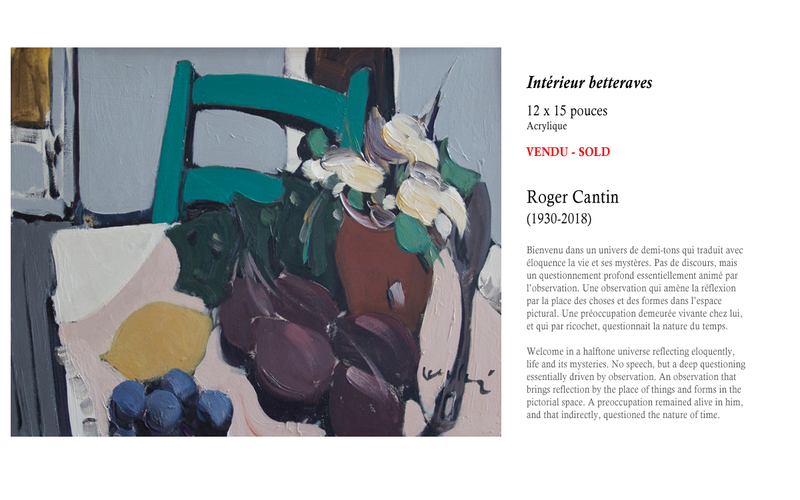 The hand is light, the gesture is precise. 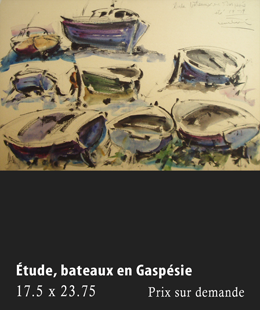 And the sensual signature has something oriental, exotic. 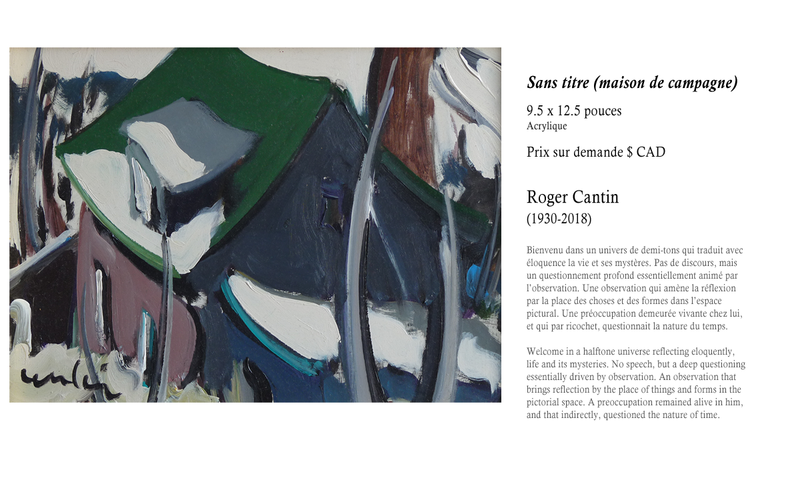 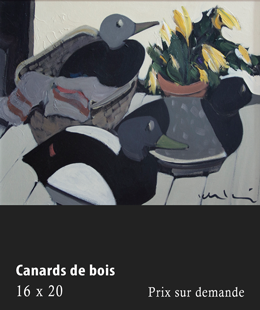 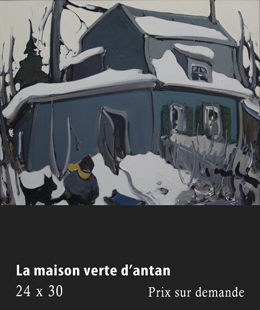 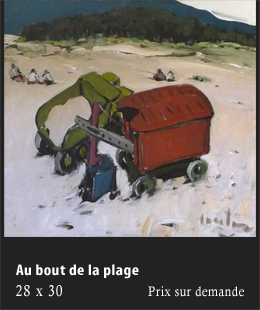 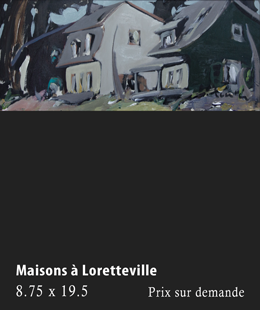 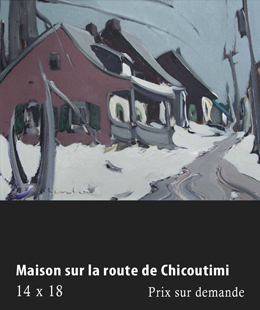 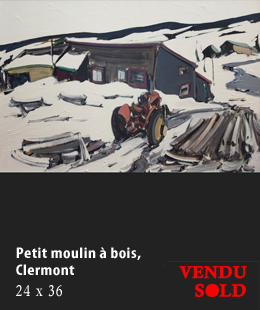 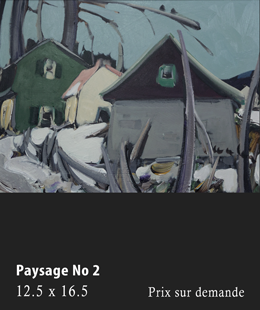 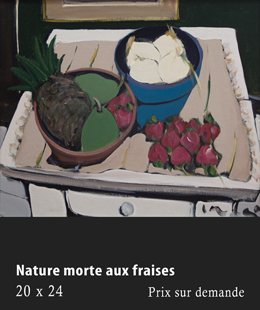 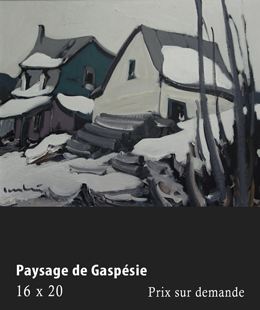 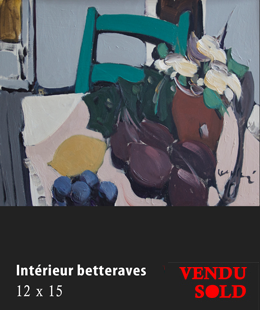 Like Jean-Paul Lemieux and Stanley Cosgrove, Cantin and St-Pierre will be among the few painters in Quebec to suggest light through the use of a sober tone. 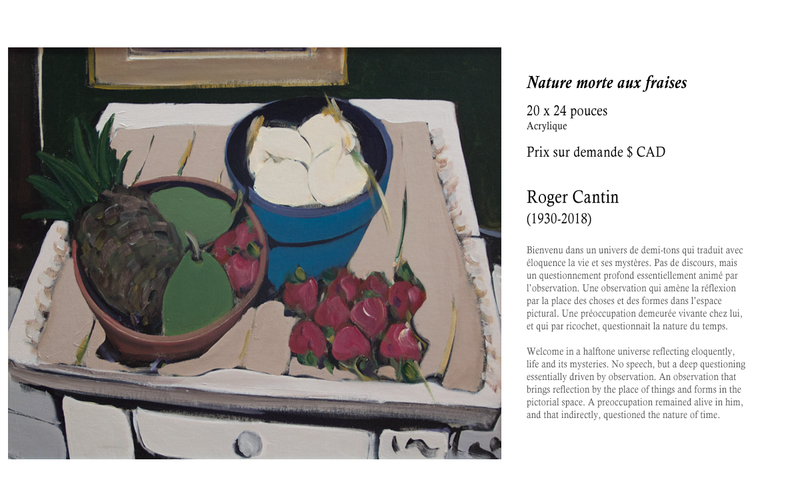 Cantin's art is also about playing with the value of neutral tones that have innumerable nuances ranging from the deepest black to the lightest white, that lets in a certain spirituality, a kind of aspiration towards the infinite. 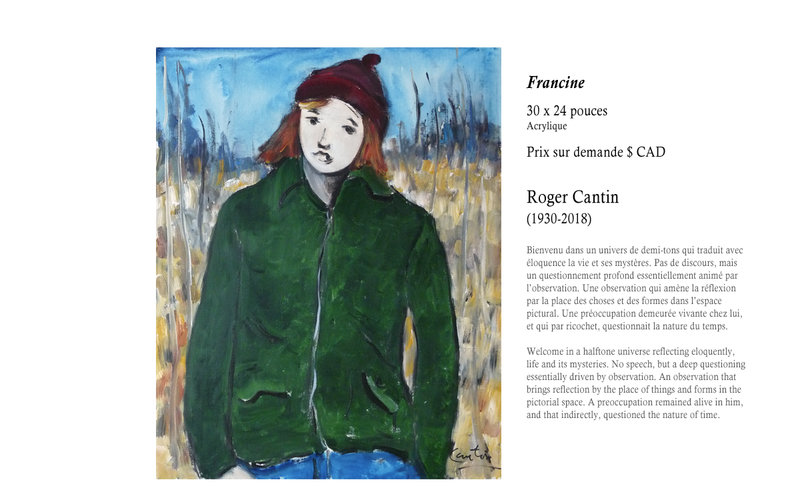 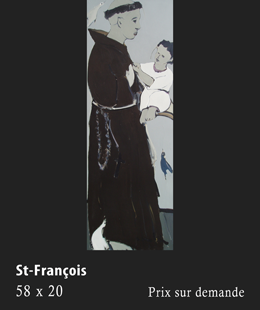 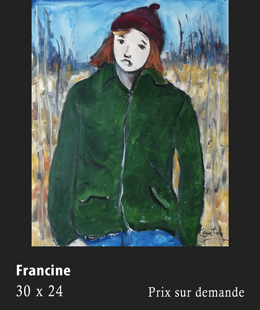 We can find in Cantin, the innocence of the eye, the frank and simple way of seeing the subject, which gives him a concentrated vision of things and leads him to the essential. 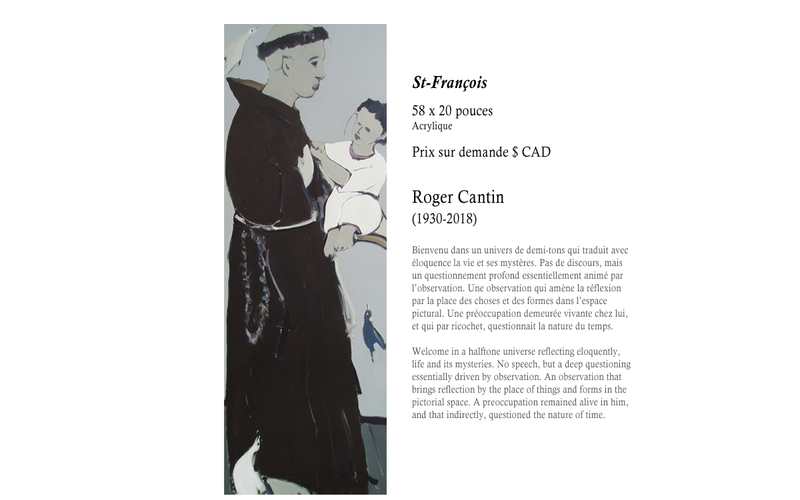 Add to this his human attitude of tenderness and sympathy. 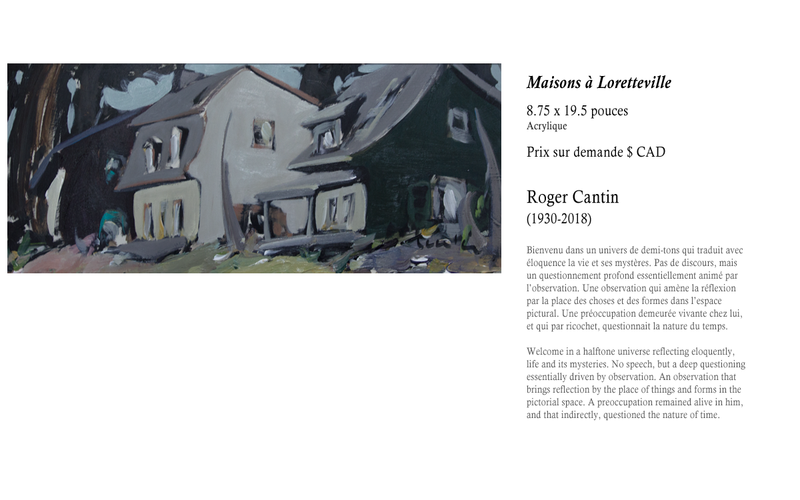 It is alone that Cantin works.